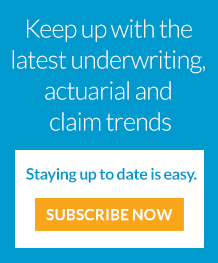 > Sawmills – A Challenge for the Insurance Industry? Sawmills – A Challenge for the Insurance Industry? After briefly outlining the typical structure of a sawmill, as well as the related current market situation and its challenges, this article discusses potential risks and preventative measures. It also presents some thoughts on the underwriting of sawmills. Sawmills are economic enterprises that process logs delivered by forestry by turning them into boards and beams. The products of sawmills are sometimes processed further downstream. The main product is sawn timber that is used for glued laminated timber, construction timber, solid wood boards, planed wood, profile wood or for various building purposes (roof construction, roof cladding, exterior cladding, etc.). The by-products of the sawing process are also used. Bark is burnt for heating purposes (biomass) or transformed into bark mulch; sawdust and screened chips are used as raw materials in the fibre board industry or compressed into pellets; wood chips and off-cuts are mainly used for pulp production in the paper industry, burnt for heating purposes or compressed into pellets. Stacks sawn timber for storage or drying or packing it into finished shipping packages. Sawmills are often categorised on the basis of their turnover. 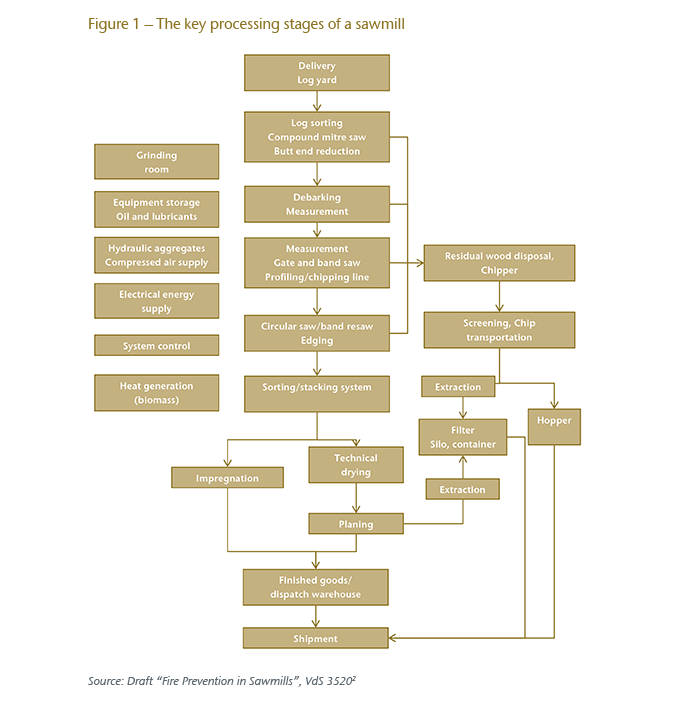 Small sawmills have a turnover of less than EUR 10 million and an annual cutting volume of up to 50,000 cubic metres; large sawmills have a turnover of more than EUR 50 million and an annual cutting volume of 500,000 cubic metres.3 In some cases, however, sawmills are categorised on the basis of other factors, such as value-added steps. Overall, the sawmill industries in all three countries are dominated by small-scale operations, although a few larger sawmills process between 40% and 70% of the total cutting volume.10 As a result, it is increasingly difficult for small sawmills to establish themselves in a market characterised by surplus capacity. Experts estimate that this surplus capacity is a factor of around 2.5.11 Closures, mainly of small- and medium-sized sawmills, will not ultimately lead to a real reduction in capacity. The overall export rates for sawn timber are high because the wood industry is seen as the foundation of the bio-economy and as such, wood is increasingly being viewed as a necessary alternative in urban construction and for the energy revolution. The market is therefore experiencing growing demand and in turn higher prices. Additionally, more value is being generated due to innovative products, such as wood fibre and hybrid products. Yet despite these positive developments, more and more sawmills are finding it difficult to break even because the costs of innovation necessary to increase value creation (optimisations of processes and methods or the use of green technology) are high.12 And as mentioned above, the limited availability of logs strengthens the position of the suppliers while buyers of the saw products profit from the ever-present surplus capacity. An analysis of press releases between 2015 and 2017 reveals a total of 79 sawmill fires in Germany (55), Austria (19) and Switzerland (5). Details of the extent and scale of losses were scarce, so this press analysis did not provide any robust statistical findings. In Germany, an analysis of the risk statistics of the GDV appears in Figure 2. According to these statistics, approximately 3% of sawmills experience fire-related losses in one year. When we consider the ratio of losses to the insured sums in one year, the trend appears highly volatile (see Figure 3). This so-called loss cost rate (LC) is calculated by dividing the reported losses by the reported insured sums. When we consider the major loss statistics of the GDV, in which all losses in excess of EUR 0.5 million are registered, this aggregated volatility remains evident over the years. Plants in the sawmill and wood industry are considered prone to fires as their operations require a large fire load to be present (combustible raw materials, production products and by-products). There is also a potential risk of explosion in the filters and hoppers. The most frequent cause of fire is defective technical equipment and facilities (electrical systems or hot surfaces) as well as human misconduct or arson. Buildings usually consist of combustible building materials and components. Sawmills are often cramped and as such are sometimes difficult for fire-fighters to access. Buildings and the various areas of a sawmill often lack effective clearances and partitions (e.g. fire zones and complexes); even the various units are often connected by conveyors, which means that incipient fires can rapidly spread to other areas of the sawmill. Sawmills are often situated in rural areas, which also affects the availability and effectiveness of the fire service (e.g. voluntary fire brigades or insufficient/lacking extinguishing water supply). 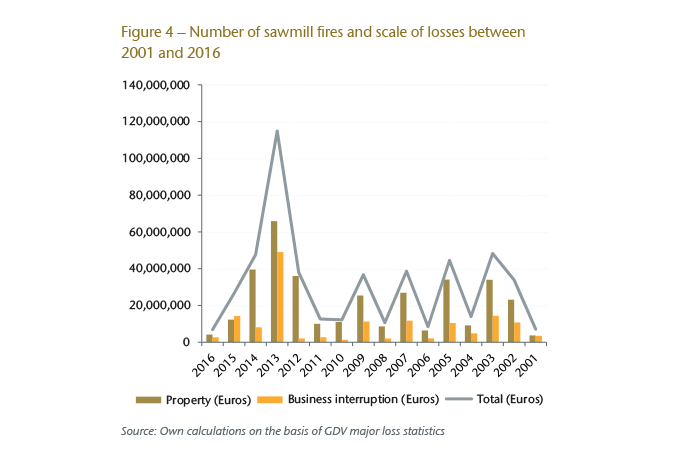 As an Austrian example from the past shows,when the insurance situation deteriorated significantly as a result of the losses that occurred there, fire prevention measures can greatly reduce the fire risk of sawmills.17 Even so, sawmills often fail to take the necessary steps to prevent fires. One reason is that many sawmills were established a long time ago and the current economic situation limits investment options. 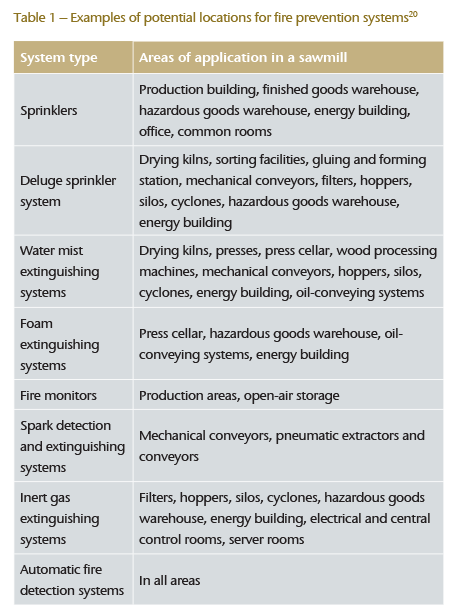 Therefore, fire alarm and sprinkler systems that cover all of the areas of a building tend to be few and far between.18 Inspections of sawmills still consistently reveal that wood is stored in the free space between buildings or that fire walls are being rendered ineffective by unprotected openings. Wherever possible, buildings and warehouses should be at least 20 metres apart. No material should be stored in this open space. In order to ensure that these areas are separated so that fire cannot spread, all openings must be fitted with adequate fire-resistant protection. The same applies to necessary openings in fire walls and complex partition walls. The building materials and components in the building should consist of as few flammable materials as possible so as to prevent a fire from spreading rapidly through the structure. If the fire service is notified quickly enough, this configuration might enable the fire service to enter the building to extinguish an incipient fire. Automatic fire extinguishing and detection systems (comprehensive or partial), installation of stationary fire monitors for open-air storage areas, spark-extinguishing systems for conveyor systems, explosion prevention measures (e.g. filter systems and lightning and overvoltage protection systems). The systems should be planned in line with the relevant technical rules and installed by qualified companies in order to ensure their functionality and effectiveness. Fire alarm systems should be installed and signal the alarm at a permanently staffed location in order to notify as quickly as possible someone who can fight the fire. Additionally, once installed, the systems should be maintained and serviced regularly. Examples include access control, guards, lighting and fencing of premises, CCTV and intruder alarm systems. Examples include a blast-resistant structure, explosion pressure venting, explosion suppression systems and spark detection and extinguishing systems. Examples include the regular maintenance and servicing of all systems, machines and fire prevention systems, annual tests of electrical lighting and power systems, the storage of flammable liquids and oils in such a way as to prevent fire, the placement of heating systems in such a way as to prevent fire, as well as circuit breakers and thermal imaging. Examples include training personnel in fire prevention and first response, the regular removal of dust and wood chips from workshops, cleanliness and tidiness, maintenance and servicing, the creation of a fire department plan and business continuity plan, a ban on smoking, welding certificates and employee motivation. Examples include fire extinguishers, fire hose stations, an extinguishing water supply, hydrants, the fire service and regular fire drills with the local fire service. 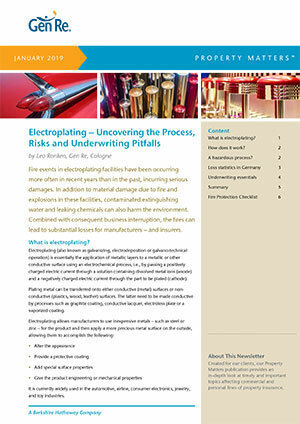 Examples include a business continuity plan, the backing up of important documents, alternative facilities so production can resume without delay, the diversification of available services (e.g. trade and production) and contractual agreements with friendly companies to ensure mutual support in the event of a loss. As mentioned above, the Association of the German Sawing and Wood Industry and the GDV are currently drawing up guidelines on fire prevention in sawmills (VdS 3520). The guidelines provide information on how to prevent fires and explosions as well as their effects, especially in sawmills and in typical sawmill processing stages, such as steaming, technical drying, planing, cutting and impregnating. The guidelines also recommend organisational, technical, structural and system-specific measures as well as preventive measures for sawmills. 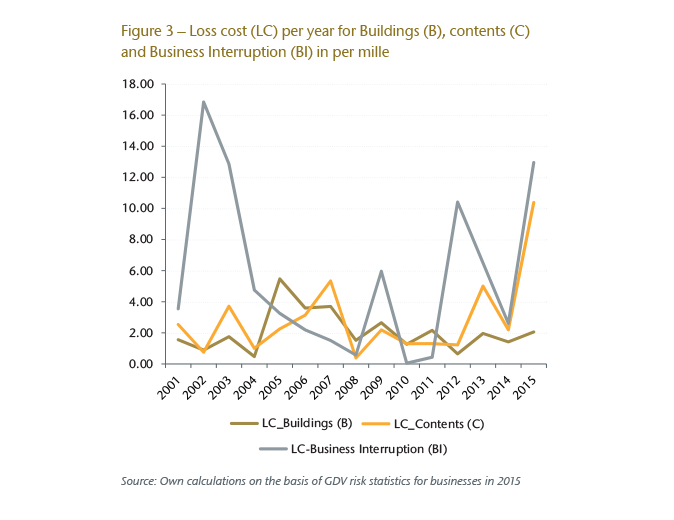 Due to the nature of the business with its generally high fire load, the likely rapid spread of fire and the frequent lack of partitioning between warehouses and buildings, the probability for a total loss is high. The manufacturing process is increasingly automated and the individual units are connected by conveyors, which means that sawmills are often a single interconnected fire complex. This means that the maximum possible loss in a sawmill can normally be assumed to be 100% of the insured amount including any agreed extensions. After an incurred loss, often discrepancies inevitably appear between the actual and the reported/insured amounts, resulting in a policyholder being under-insured in certain situations. It is therefore wise to test the plausibility and sufficiency of the reported insured sums at least once per year and adjust them if necessary. In a sawmill, the sawing area with sawing equipment and the profiling/chipping line are typically problematic bottlenecks. Experience has shown that the delivery time for important equipment, such as the sawing line, can be far in excess of 12 months; it is therefore advisable to query and regularly check the expected delivery time for the main processing equipment – e.g. the cutting line – as changes in the global market can lead to significant fluctuations. Such equipment is often only manufactured to order and based on customer specifications. The insured amount and the indemnity period for the fire business interruption insurance should reflect this. Based on our experience, it tends to be difficult to mitigate any potential loss from business interruption unless alternative facilities with robust capacities are available or closed sawmills in the vicinity that are still ready for production can be used. Still, additional costs and extra expenses are to be expected in such a case and need to be factored into the underwriting considerations. The active fire prevention measures in a sawmill should be critically questioned and their actual effectiveness to extinguisha fire should be examined and evaluated; inspections of sawmills continue to reveal that fire prevention systems are in place yet suffer significant defects that cast doubt on their effectiveness. Fire protection engineers, e.g. of the insurance company, should inspect sawmills regularly, assess the risk situation on site, identify weaknesses and propose reasonable preventive and protective measures to lower the risk of fire. Identified shortcomings – e.g. extinguishing systems, the extinguishing water supply or ineffective fire-rated partitions – should be rectified quickly and properly; the remedy of the deficiency should then be reported by the insured. Separate units using preventative fire measures, e.g. sufficient clearance and fire walls. The distance between buildings/complexes and warehouses should be at least 20 metres. Given the nature of their operations, the vulnerablility of sawmills is statistically significant in terms of the frequency and severity of fire losses. Due to their layout, they often form an interconnected fire complex; combined with their below-average fire prevention standards, a fire can be expected to cause considerable – if not total – losses. 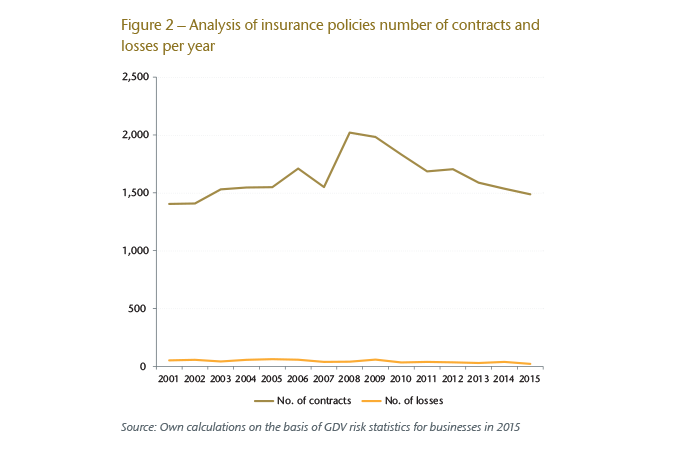 Feedback from sawmill associations and discussions with primary insurers reveal that the problem is known; for example, it is reflected in the more restrictive underwriting policies of some insurers. At the most essential level, sawmills should be protected by installing suitable stationary fire extinguishing systems – which will certainly pose a considerable financial challenge for the affected operators – in order to reverse the trend and significantly reduce the frequency and severity of losses.